3 Bedroom Semi Detached House For Sale in Stoke-on-Trent for Offers Over £180,000. INCLUDED IN THE BIG OPEN HOUSE WEEKEND. 27th & 28th APRIL. 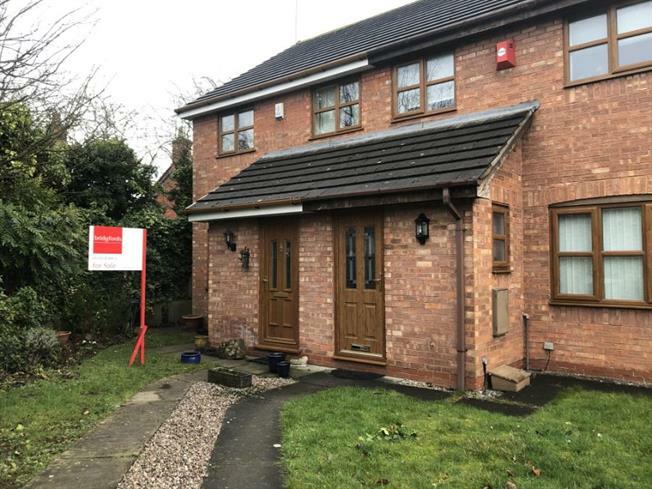 PLEASE CALL THE BRANCH FOR MORE DETAILS This modern semi detached home not only occupies a tucked away cul de sac location and is arguably one of the best plots on the development it also backs onto the canal. Internally the accommodation briefly comprises entrance hall, guest WC, spacious lounge opening through to the dining room, fully fitted kitchen, three bedrooms and a family bathroom. Externally the gardens offers a great degree of privacy to the front and rear, and it also benefits from a single garage. This delightful property is offered for sale with no chain.